When the round tables are primarily male, when the Airbus hackathon with the students of Epitech Toulouse presents only two female students out of an entire class of dashing future engineers, when the Drone Challenge Trophy attracts only men, it’s time to look for the ladies at the Fablab Festival! Makery chose to spotlight a few of them. 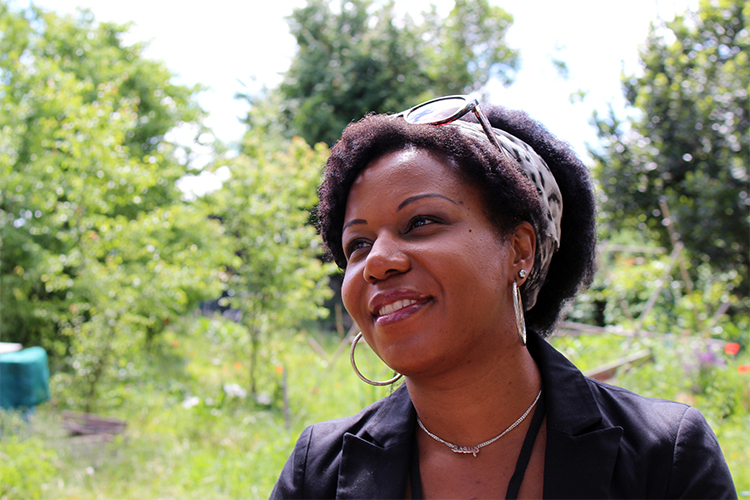 Martinique will finally have its very first fablab, thanks to the initiative of a woman. Peggy Ravin, 42, admits she discovered the world of fablabs quite by chance. As her professional career took her through start-ups and human resources, she began to understand the potential of fablabs in terms of training and social integration. “I wanted to create an activity that was useful to society. For me, a fablab is first and foremost a space for emulation where the human dimension prevails,” she explains. She wants her lab to be open to people the furthest away from digital media and employment, and especially to women. “In Martinique where the unemployment rate is high, only 30% of small businesses have a website. The problem is that, even if there are job vacancies, people aren’t trained in digital tools,” she says. After a training course in 3D modeling and digital fabrication at Artilect in 2016, she set off on her adventure. The same year, her Up & Space Martinique won the prize for social and solidary economy projects awarded by the French Ministry of Overseas Territories. This success opened the door to more funding, especially European. The opening of the space is scheduled for May 2018, but the venue is already chosen, much to Peggy’s delight. Martinique’s first fablab will be located in Sainte-Luce… inside a former nightclub. “We’re almost there… We tried to gather as much support as possible before making an official request to the city, to have all the odds in our favor. And we succeeded—several institutions (school, museum…), associations, collectives and independent organizations provided us with written support of concept.” We met Hélène Carrel, independent design engineer, in Toulouse, a couple months after our columnist Dcalk met her in Switzerland at the Ludesco games festival. A team of ten people is behind Ici Autour, a fablab for La Chaux-de-Fonds, population 38,000. “Our profiles are distributed between arts and communications (graphic artist, designer…) and technical fields (engineer, clockmaker, physicist, electrical engineer…),” a mix that “reflects the region quite well, given its clockmaking heritage”. “The problem is not the machines (a bunch of people have promised to provide them for us) or the community (we already have 408 people who support the fablab). But in Switzerland, it gets cold in winter. So we need a space that is not too big or energy-consuming.” When we express surprise that the local maker community is so big, even before the opening of the space, Hélène, 28, laughs. La Chaud-de-Fonds has a blue-collar history and a well-entrenched tradition of collective self-reliance. The residents are mobilized, providing “more than half of the support”, but “the rest comes from the neighboring communes and Neuchâtel, where people are already familiar with the concept. Moreover, this graduate of Neuchâtel’s Haute Ecole ARC school also has experience as the “labmanager” of Neuchâtel’s own fablab. 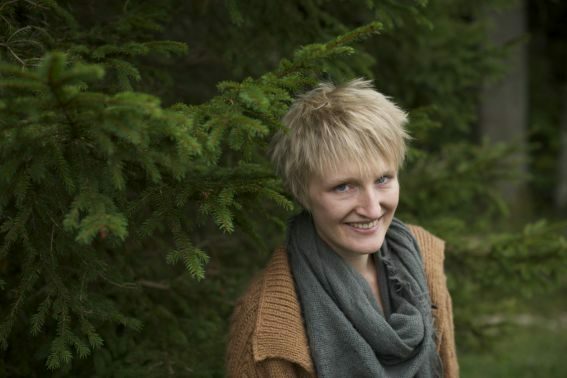 “Our fundamental goal was to offer a fablab to the communes in the mountains of Neuchâtel.” She hopes that Ici Autour will see the light later this year. 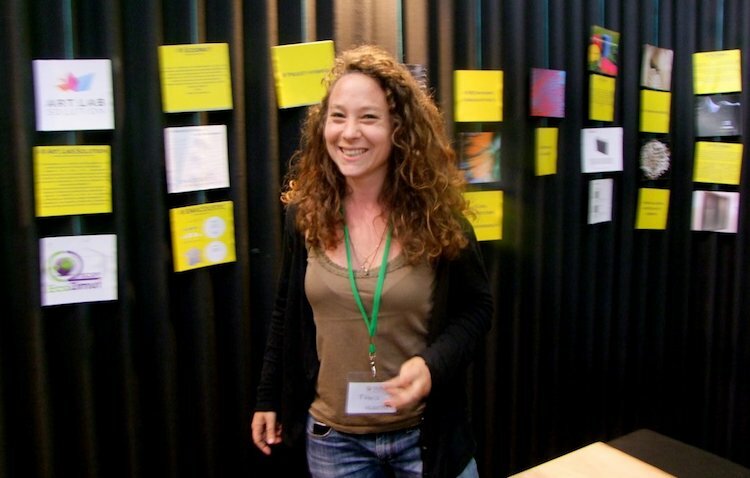 Adélaïde Albouy-Kissi, lecturer in computer science at the technical institute (IUT) in Puy-en-Velay, Auvergne, directs the institute’s Lab’ du Pensio fablab, which opened in early 2016. Adélaïde made an announcement during a talk on May 12: a new “maker” undergraduate program will begin in September and lead to a university degree. Lab’ du Pensio, which earlier this year moved into a former boarding house a few steps away from the IUT, is not just the students’ fablab—it’s open to everyone. 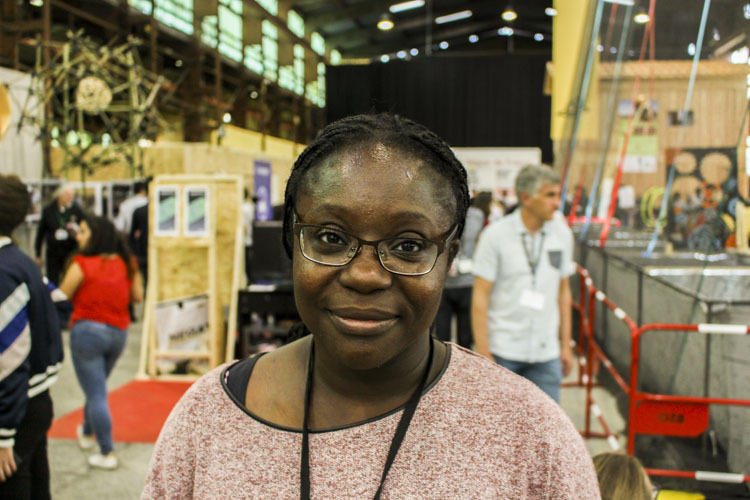 “I want to democratize the maker movement,” says Adélaïde. In order to do so, in addition to providing access to machines and support to projects that contribute to dynamic innovation, Lab’ du Pensio will offer a “maker” course, exclusively at the IUT, that includes 400 hours of training in digital fabrication (CNC, 3D printing, etc. ), advanced design (modeling, computer assisted design, simulation, etc. ), as well as virtual and augmented reality. In the future, Adélaïde would like to add a “maker” master program and linked training. And why not an “Erasmus of fablabs”? It has already been two years since Delphine Bézier joined My Human Kit. The organization that makes “disability the motor for new projects” is known for the Bionicohand prosthesis. After having his hand amputated following an accident at work, Nicolas Huchet designed a 3D-printed bionic hand, which led to creating the organization in 2014. 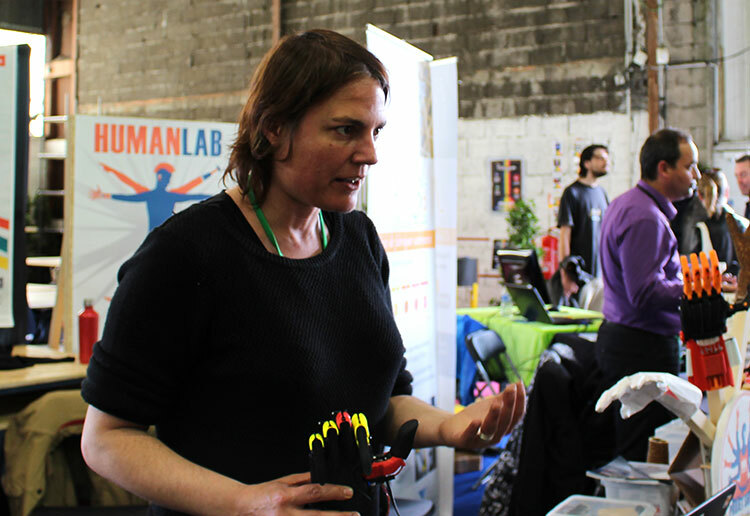 After one year as a volunteer, Delphine, a 40-something “experimental music and noise fan”, was hired in 2016 to document projects, and later as the fabmanager of Humanlab, My Human Kit’s fablab, as soon as it opened in Rennes in January 2017. Delphine is currently leading the Binoreille project, a headset for people with unilateral hearing loss. This prototype headset allows sound to resonate through the skull. For the first time at the Fablab Festival, the My Human Kit stand is packed. “We met start-ups and manufacturers that were very receptive and ready to invest. It’s important for us to be present at this kind of event. We also hosted a round table on crossovers between disability, digital and social.” It’s one step further in My Human Kit’s plan to co-create an international network for the development of technical aids for disabilities, by bringing together people from fablabs and the fields of health and rehabilitation. 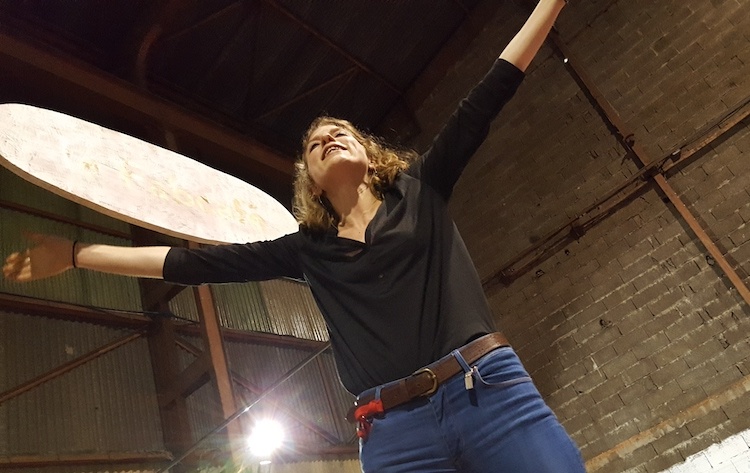 An expedition on a burlap sailboat, a stove made from aluminum cans, a household windmill… This inventory is but a glimpse into the activities of Amandine Garnier and the Gold of Bengal organization, which she presented at the Fablab Festival. 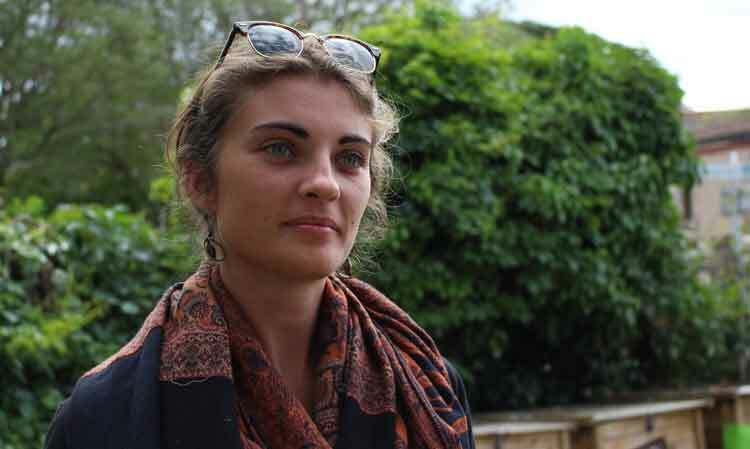 After her studies in marketing, Amandine “preferred to go into sustainable development rather than selling yogurt for advertising”. 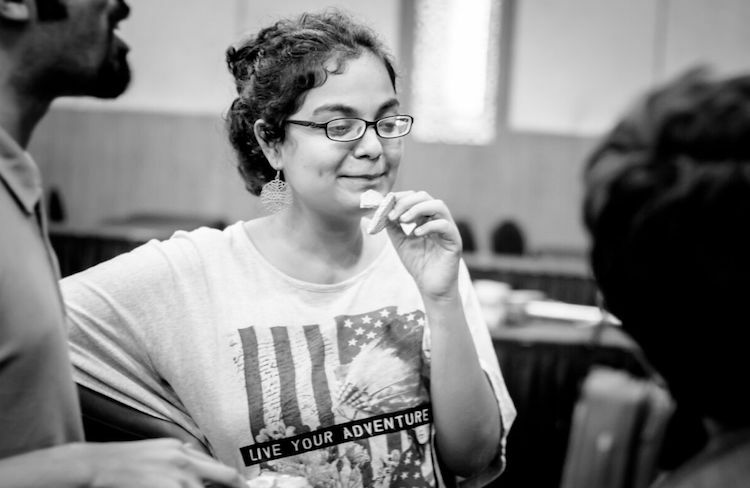 She interned at Gold of Bengal… and hasn’t left since. She is now the organization’s head of coordination and development. The Gold of Bengal adventure began in 2009 with the Tara Tari sea expedition, led by Corentin de Chatelperron. The engineer was setting off for Bangladesh on a sailboat designed out of burlap. In February 2016, a new expedition called Nomade des mers launched the Low-tech Lab. The crew’s mission: to prototype, document in open source and offer low-tech solutions to local problems around the world. “In order for the maker movement to truly serve sustainable development, and not just 3D-printing Yoda figurines,” according to Amandine, we must mobilize fablabs, give them challenges and make tools with them. 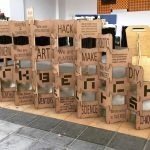 From July, the Low-tech Lab will travel through France to meet makers and sustainable initiatives to “promote the image of DIY” and map out the actors of low technology. Three months ago, this 23-year-old engineer, passionate about frugal innovation, applied to participate in the Fablab Festival. As one of the speakers in the “Hardware innovation ecosystems in Europe and Asia” round table, Ojasvi presented Workbench Projects, a makerspace inaugurated in 2015 in India… under a metro station in Bangalore! The quirky space of 460m² includes a cafe, a start-up incubator, a coworking space, a fablab and even a tools shop. From a middle-class background, Ojasvi was among the Indian finalists of the international 25 Under 25 competition organized by the Internet Society. It was there that she discovered the maker movement and decided to be a part of it by joining Workbench Projects.